﻿ Great Seal State Park - Ohio. Find It Here. 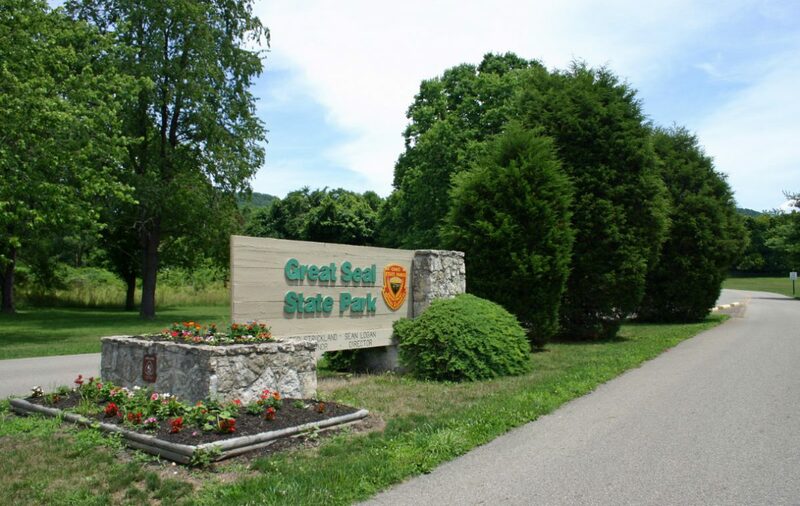 Great Seal State Park is located just north of the town of Chillicothe and dedicated to the wilderness spirit of Ohio. The history of the Shawnee nation and Ohio's early statehood is centered in these rugged hills. Challenging trails through the 1,862-acre park take visitors to scenic vistas of distant ridgetops and the Scioto Valley below. These very hills are depicted on the Great Seal of the State of Ohio, from which the park gets its name.